Pittsburgh's Innagural VegFest hosted 5,000 attendees. VegFest returns to Pittsburgh on Saturday, with local businesses and enthusiasts sharing information about living a vegan lifestyle. Though, non-vegans are encouraged to check out the event too, which starts at 11 a.m. at Allegheny Commons Park East on the North Side. Fristick said Pittsburgh’s Vegan scene is growing, with more options available at local businesses. “We might not have many all-vegan restaurants, which we do have a few, but there are vegan options in so many places,” said Leila Sleiman, who co-founded Justice for Animals with Fristick. One of those restaurants is the Double Wide Grill, which will showcase some of its vegan menu options at VegFest on Saturday. Ryan Moore, the restaurant’s director of events, said the chain’s unusual combination of barbeque and vegan fare was designed to offer options that everyone can enjoy. “There aren’t a lot of places where someone can go and bring their dad who only eats meat, but then they are vegan themselves and want to have a nice meal and a fun place to go,” he said. Local proponents of eating vegan said it’s a less expensive option than meat too. Clarifying those misconceptions is a huge motivating factor for VegFest, Fistick said. VegFest will also include speakers focusing on areas such as nutrition, the ethics behind veganism and wildlife, in addition to live music performances. Over the past few years, so-called ugly fruit and vegetables have been gaining a host of admirers. Now, Wal-Mart has officially joined the bandwagon. 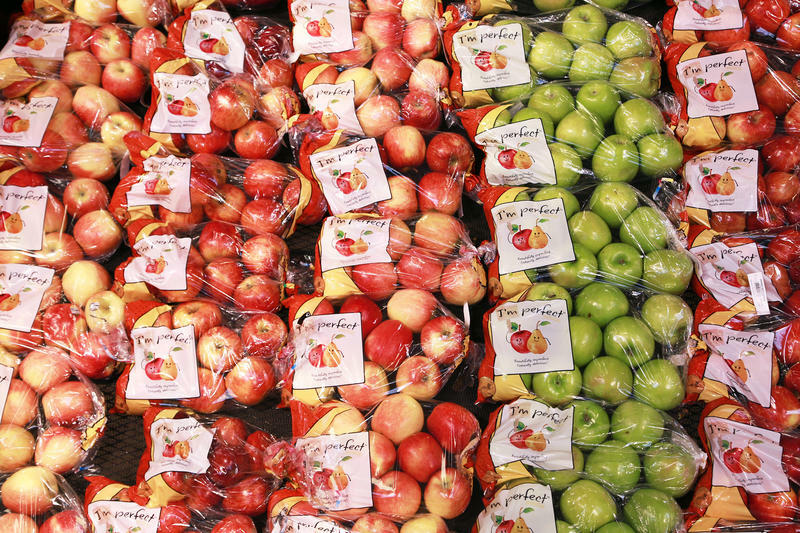 Starting this week, America's largest grocer says it is piloting sales of weather-dented apples at a discount in 300 of its stores in Florida. If this were one of those Hollywood movies where the mousy girl gets a dramatic makeover, this would probably be the scene where she gets asked to the prom (minus the sexist subtext). Pittsburgh’s reputation as a meat and potatoes kind of town is changing. As more diverse cuisine becomes popular, even the most old-school mom-and-pop sandwich shops are expanding their menu options for all dietary needs. Vegan Pittsburgh is a project of Voices for Animals that is making it easier for people looking for vegan food to connect with options by way of a website and decals in restaurant windows. Faced with a citation and the threat of losing their liquor license for noise violations, the owners of James Street Gastropub and Speakeasy are crowdsourcing to afford costly soundproofing renovations this summer. In its second year running, Picklesburgh attracted new visitors and vendors to its celebration on the Rachel Carson Bridge on Friday, July 15, 2016. Open Streets Pittsburgh’s second season ends Sunday with a new route. This weekend’s territory spans 3.5 miles through Downtown, the North Side and West End, closing vehicle traffic along part of Penn Avenue, the Roberto Clemente Bridge, Western Avenue and the West End Bridge between 9 a.m. and 1 p.m.
“The idea is really catching on here in Pittsburgh, and it’s quickly being adopted as kind of a tradition,” said Ngani Ndimbie, communications manager for Bike Pittsburgh, which hosts the event.